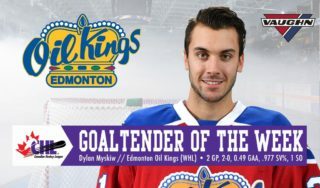 Edmonton Oil Kings forward Liam Keeler has been named the McSweeney’s Player of the Month for January. 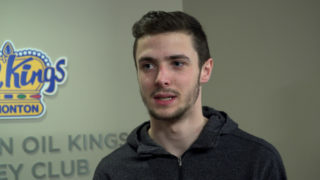 The 18-year-old native of Edmonton picked up three goals and three assists for six points in eleven games during the month. 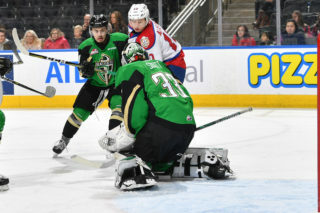 His three goals included a two-goal performance versus the Lethbridge Hurricanes on January 13; the first of his WHL career. 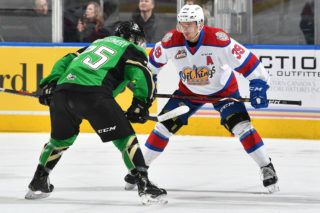 The Oil Kings are back in action on Friday, February 1 when they take on the Prince Albert Raiders at 6:00 PM MT (7:00 PM MT). 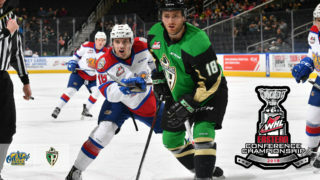 After taking on the Saskatoon Blades the following night on the road, the team will return home to host the Raiders on Monday, February 4 at 7:00 PM MT. 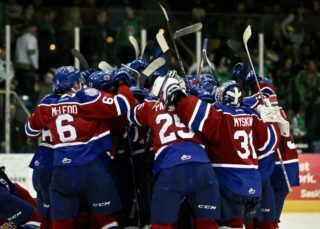 Tickets to all Oil Kings games start as low as $20 and can be purchased by visiting the link below.